Anthony Knockaert buried the ghosts of last season as Leicester netted a 3-0 win at Watford in the Sky Bet Championship. 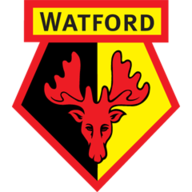 The build-up to the match was dominated by memories of last season's dramatic final day clash at Vicarage Road, when Knockaert's missed penalty proved costly as Troy Deeney netted the winner down the other end, meaning the Foxes missed out on the play-off final. But there was never going to be a repeat of that result this time out, as the visitors were in control from start to finish. Chris Wood opened the scoring in bizarre fashion, after Manuel Almunia's clearance ricocheted off his face into the empty net. Then, after the interval, Knockaert grabbed the headlines for the right reasons from a Leicester point of view, lashing the ball home after good work from Jeffrey Schlupp. After the home side missed several chances to get themselves back into the match, Lloyd Dyer raced clear to put the result beyond doubt, and give the Foxes their first win at Watford since 2005. In almost freakish circumstances the visitors did take the lead, thanks to some very laboured goalkeeping from last season's hero Almunia. Collecting Ikechi Anya's backpass, the former Arsenal stopper tried to clear, but his laboured attempt hit the onrushing Chris Wood in the face, and cannoned into the empty net, much to the New Zealander's surprise. The visitors continued to dominate after the goal, with Danny Drinkwater orchestrating things in the Foxes' midfield. Marcin Wasilewski was proving to be a handful from set-pieces and really should have doubled Leicester's lead from a corner, but he headed over from close-range. 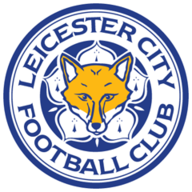 Lewis McGugan had the Hornets' best chance of an equaliser in the opening period, forcing Kasper Schmeichel into a fine double save in the Leicester goal. After the break, the introduction of Diego Fabbrini seemed to give the home side some added impetus, but the script was written for Knockaert to have his say. Schlupp, who was playing at left-back in place of Paul Konchesky, used his pace and power to get to the byline, pulled it back for Knockaert, who with the aid of a slight deflection, beat Almunia to spark scenes of wild celebration. The Hornets did up their game after going further behind, missing several guilt-edged chances to get themselves back into the encounter. Forestieri had two efforts well saved by Schmeichel and Anya really should have hit the target from close-range, blazing an effort wide from the angle. But after excellent hold-up play from substitute Gary Taylor-Fletcher, Dyer raced clear, and just managed to beat Almunia to be sure of the points. Leicester have now won seven of their last nine, and sit level at the top of the Championship, whilst Watford's inconsistency problems continue.